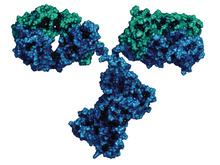 The launch of biosimilar rituximab is an eagerly awaited event among US healthcare stakeholders who are cognizant of the high cost of intravenously (IV) administered rituximab in treating non-Hodgkin lymphoma (NHL). At the same time, another innovation in rituximab delivery—a subcutaneously administered rituximab formulation—has the potential to save both cost and time. The study’s authors concluded that, at the median follow-up of 23 months, the data demonstrated comparable progression-free survival, sustained response, and overall survival between both the biosimilar and the reference product. Tbo-Filgrastim Delivers VHA Cost Savings, but Could a Change of Strategy Do More? For health systems like the Veterans Health Administration (VHA), where controlling costs while providing high-quality care is of heightened concern, achieving the best value for money in the prophylaxis of neutropenia can help to control the cost of cancer care. 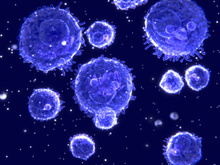 Celltrion’s CT-P10, a biosimilar rituximab that was FDA approved under the brand name Truxima in November 2018, is already in wide use for a host of indications in many regulatory territories. During this week’s 60th Annual Meeting and Exposition of the American Society of Hematology in San Diego, California, multiple research teams are reporting data that underscore the safety and efficacy of CT-P10 in hematological conditions. In 2016, the Saskatchewan Cancer Agency switched from the brand-name filgrastim, Neupogen, to a biosimilar, Apotex’s Grastofil, for stem cell mobilization prior to autologous stem cell transplants. In a study presented at the American Society of Hematology’s Annual Meeting, researchers sought to determine the safety and efficacy of using a biosimilar for this setting. Patients who are candidates for hematopoietic stem cell transplantation (AHSCT) require adequate collection of stem cells, and granulocyte colony-stimulating factor agents (G-CSFs) are typically used for stem cell mobilization while plerixafor is used to increase the yield of mobilized stem cells. While the biosimilar filgrastim agent Zarxio has become a more widely used, cost-saving G-CSF option in this context, little research has been conducted on whether the use of the biosimilar rather than its reference, Neupogen, has an impact on plerixafor use in patients undergoing AHSCT. The researchers concluded that the efficacy, safety, immunogenicity, pharmacokinetics, and pharmacodynamics of PF-05280586 and the reference were similar at the conclusion of the study at week 26.